A certified ACDBE (Airport Concessions Disadvantaged Business Enterprise), LeJeune and Associates, LLC represents more than 50 years of management experience in retail environments such as airports, urban retail centers, hotels, offices and mixed-used projects. LeJeune and Associates delivers a wide range of experience in property management, from revenue generation, through leasing and marketing and the successful completion of on-schedule construction projects. We are responsible for onsite management of airport concessions programs, including day-to-day operations & retail management. We have experience in operating and managing retail in urban retail centers, including revenue generation, leasing, marketing and more. Our management team's traditional retail project experiences has included New Jersey and Texas malls, such as the Cherry Hill Mall and Alameda Mall. Aside from traditional retail and airport spaces, we have also provided management locations such as Legg Mason Tower and Village of Cross Keys in Baltimore, MD. LeJeune and Associates is responsible for onsite management of airport concessions programs, including day-to-day operations and retail management, common area maintenance, marketing and customer service, ACDBE compliance, distribution and delivery, tenant relations, street pricing compliance, minimum wage and benefits standards compliance, and tenant coordination and design. 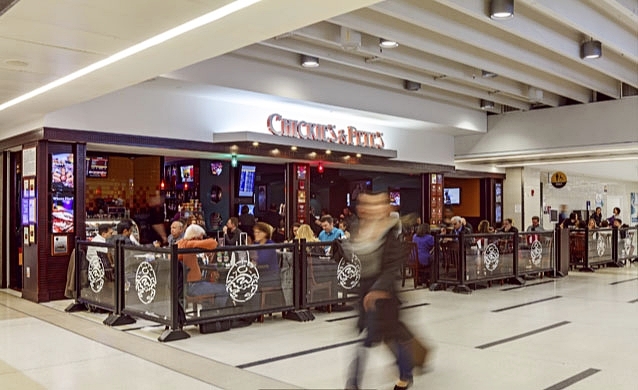 They partner to manage the food and retail programs at Philadelphia International Airport, Dulles International Airport, Ronald Reagan Washington National Airport, and Boston's Logan Airport. These combined projects represent more than 300,000 square feet of specialty retail and food and beverage operations, as well as approximately $380 million in annual sales. Contact LeJeune and Associates to discuss your project in airport concessions, food and beverage concessions, retail management, ACDBE compliance, food and retail programs, and more. We are a certified Airport Concessions Disadvantaged Business Enterprise and certified Disadvantaged Business Enterprise; we can provide ACDBE plan development and management and minority/woman-owned business development.